MoMA & Tate Modern’s landmark show explores the final chapter of Matisse’s career when he began ‘carving into colour’, creating his signature cut-outs. 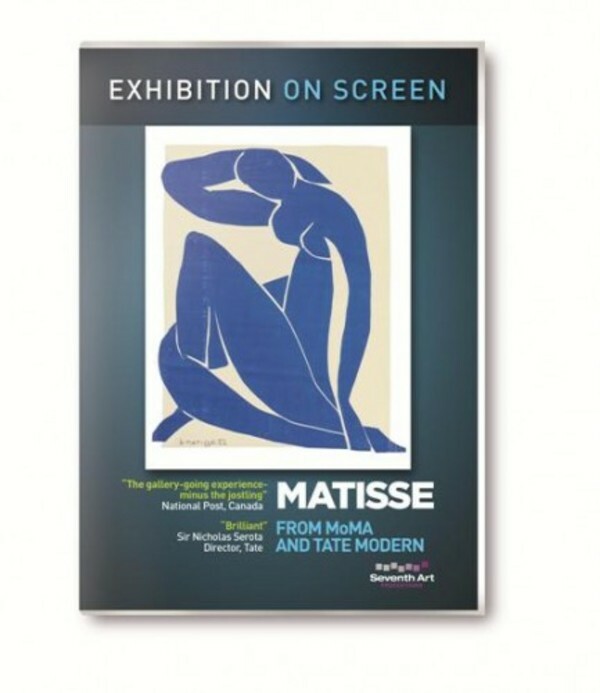 Audiences are invited to enjoy an intimate, behind-the-scenes documentary about this blockbuster exhibition, with contributions from curators, historians and those who knew Matisse personally. Bold, lively and often large scale, the cut-outs are simple but sophisticated. Tate’s 'The Snail' 1953 is displayed alongside its counterparts 'Memory of Oceania' 1953 and 'Large Composition with Masks' 1953 - for the first time displayed together as the artist intended. The famous series of 'Blue Nudes' are there representing Matisse’s interest in the figure, as will 'The Dance'. Beautifully filmed footage of the exhibition is interwoven with Matisse’s biography, behind-the-scenes material, and sequences featuring special guests, including Tate director Nicholas Serota, MoMA director Glenn Lowry, jazz musician Courtney Pine and Royal Ballet principal dancer Zenaida Yanowsky. Acclaimed British actor Simon Russell Beale brings insight and emotion to the words of Henri Matisse, while actor Rupert Young narrates.